Khadi Pure Gramodyog Herbal Neem, Tea tree & Basil Face Wash will be make your skin free from acne. 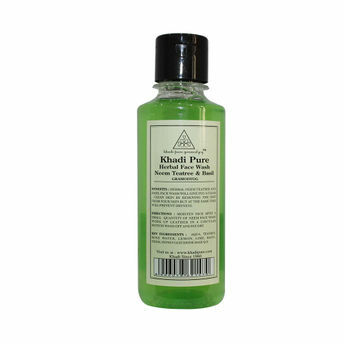 It is suitable for all skin types and further removes impurities and prevent pimples. Pamper your skin with well deserved massage each day.